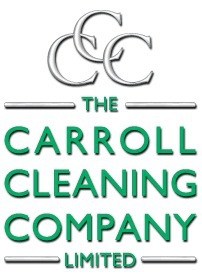 Cleaning is most definitely something that runs in the genes for The Carroll Cleaning Company. Inspired by their late father, who had been involved in contract cleaning all his working life, four brothers and sisters founded the firm in 1987, starting from humble beginnings in a windowless office on an industrial park in Halifax. With a commitment to providing quality cleaning and a reputation for delivering on its promises, the company quickly thrived and prospered, moving to its own small Yorkshire mill in 1994. It now provides cleaning services to around 450 clients throughout the north of England; from Liverpool in the west, to Hull in the east, and as far south as Nottinghamshire. As a strictly business to business cleaning contractor, the company has established a firm footing in three key areas: the legal sector – providing cleaning services to many top law firms; FM – working in partnership with firms such as Adair Paxton, McDonald Partnership, Savills and Lambert Smith Hampton; and education – cleaning in both independent and state schools. As companies grow and develop, in direct response to the demands of clients and the wider market in general, ways of doing business also have to change. Where once we travelled miles to face-to-face meetings, or faxed over requests for orders, video conferencing and the internet have speeded up these processes. CleanLink’s innovative software solutions, including Site Manager – which is also available as an app for smartphones and tablets, are at the forefront of change in the contract cleaning industry, providing hi-tech, accessible, 24/7 solutions that help companies manage their contracts more easily, wherever they are. Two key priorities were the catalysts that made The Carroll Cleaning Company review their management systems. Payroll was one. Having the ability to accurately track wage expenditure for numerous operatives over multiple sites is a big challenge – with most software programmes tracking payroll expenditure on a site by site basis but restricting operatives to working at only one or two sites. The advent of the Working Time Directive regulations also revealed the need for a package that could track operatives’ holiday entitlements. In order to cover all the different management aspects, The Carroll Cleaning Company found itself having to use a number of individual systems to cover payroll, manage stock, raise invoices, etc. but it really wanted something to unify all of these functions in one package – enter CleanLink! With so many different demands on contract cleaners, finding systems that enable managers to be more efficient, providing a smoother-running, more modernised way to oversee their contracts, is essential. CleanLink’s Site Manager does just that, helping contract cleaning companies to ‘upgrade’ the service they deliver to their clients.